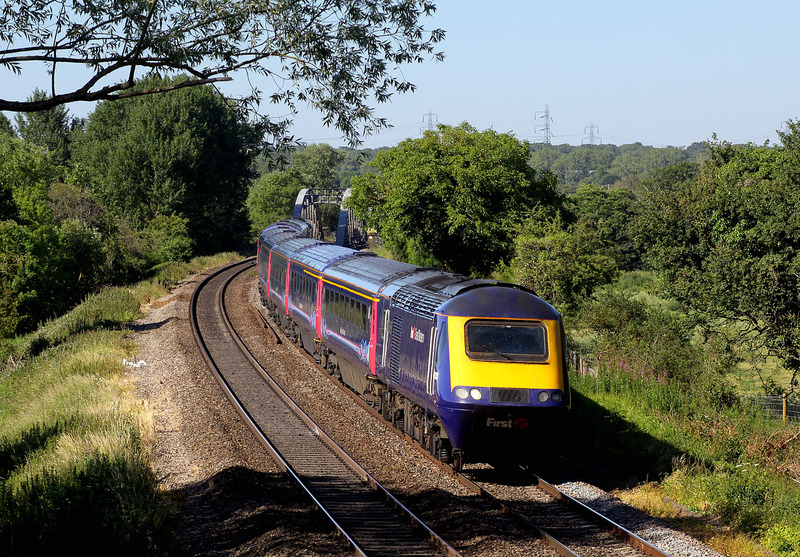 43003 Isambard Kingdom Brunel approaches Appleford on 30 June 2015 with the 1P61 15:20 Worcester Shrub Hill to Paddington First Great Western service. The train has just crossed over the River Thames. This is not a particularly pleasant spot to take pictures from, as the roadbridge is very busy, and there is not much room to stand away from the traffic.